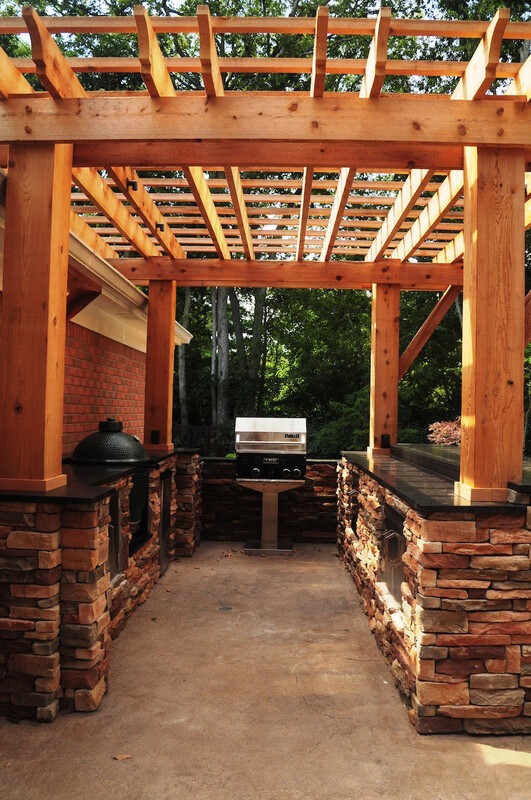 Outdoor Space Designed for Entertaining. This family lives to be outside. They spend as much time together as possible with family and friends and wanted a space to be able to do both at the same time. They also love to host community parties and large gatherings. 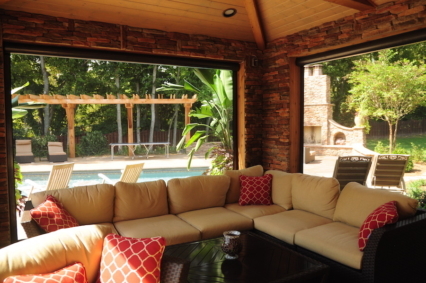 The outdoor living area we designed captures all of their needs. 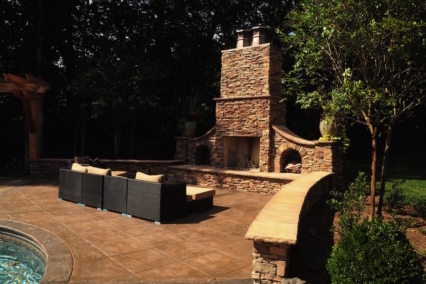 We added a screened porch, an outdoor kitchen and bar, trellis work, a huge outdoor fireplace with custom stained and stamped concrete for the entire area. 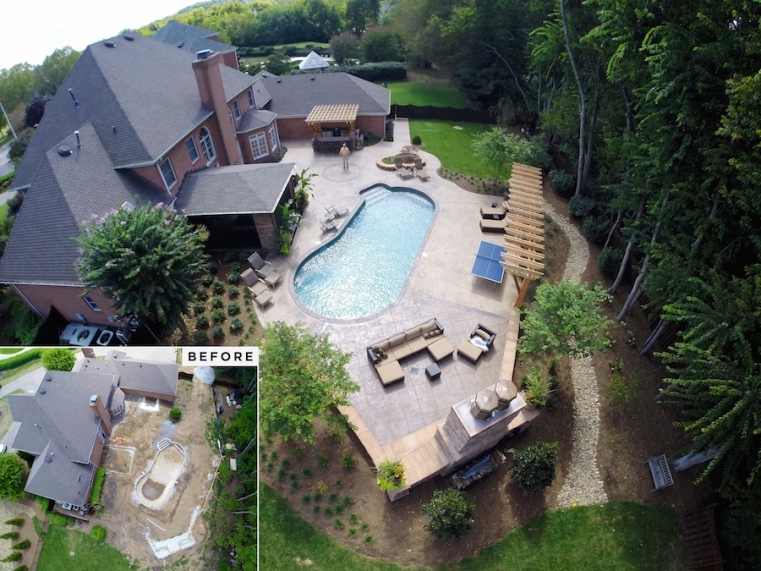 We also helped with long term drainage issues and design for landscaping planters.